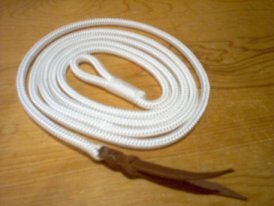 The rope we use is high quality yachting rope. It is very strong. 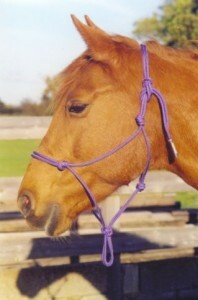 A halter that is made of thin rope means that the pressure applied is more clearly defined than if the horse was wearing a wide webbing head collar. This allows you to apply a variety of levels of pressure. 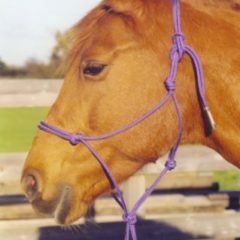 The halter is designed and fitted to be comfortable and lightweight for the horse, while giving the handler greater control, therefore if proper techniques of pressure and release are used, the halter becomes an effective training aid. Instant release is important as this gives immediate reward, in fact even the slightest try should be rewarded by instant release. The halter can be used for riding in a safe schooling area and is great for training horses to be light in the hand. 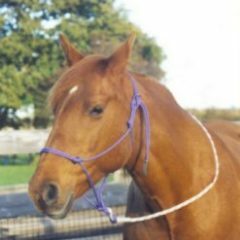 This halter is so light and easy, it is handy to leave it on under the bridle when hacking out, so you need never lead the horse by the reins, thus avoiding bruising its mouth. 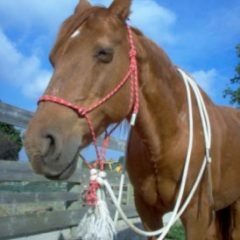 It is absolutely forbidden to leave a halter on a turned out horse. Each halter is individually hand crafted. The rope we use is high quality yachting rope and is very strong. As there is no hardware on these halters, you can happily throw them in the washing machine and they come out looking as good as new. 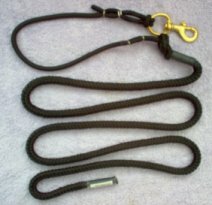 Complement the halter with the use of a 12' training rope. This can then be used for playing horseman's games. 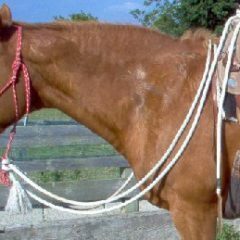 22' Mecate reins can be used for riding in your halter. These halters have been used by top trainers, including Richard Maxwell. 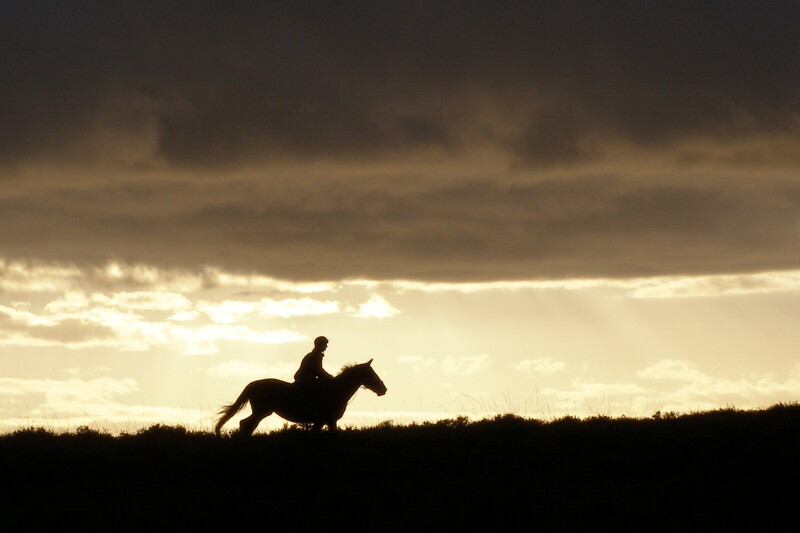 We proudly advertise in Horsemanship Magazine, and we invite you to subscribe and support these fellow horse lovers. For full range of our products, please view below or click on the 'Products' link on the menu at the top of this page.